The agreement to include Southern Africa is a win for resellers in this region, says Westcon-Comstor's Tiens Lange. 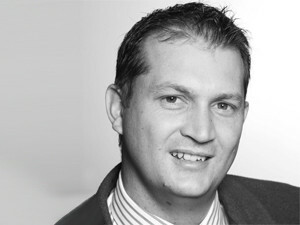 Westcon-Comstor has been named Polycom distributor in the Southern Africa region. Polycom develops video, voice and content collaboration and communication technology. According to the value-added technology distributor, the move signals the growing demand for faster engagement between organisational teams to achieve optimal productivity. "E-mail has long been the de facto communications tool for companies of all sizes, but it's not the ideal way to exchange ideas, particularly with progressive organisations," says Tiens Lange, director of the Westcon-Comstor UCC solutions practice for Southern Africa. "Our resellers need a practical alternative that will enable their customers to work more easily and cost-effectively in real-time via myriad devices and locations." "The UCC solutions team will provide resellers with the educational training, tools and other resources to capitalise on these market opportunities." "While Westcon-Comstor has enjoyed a relationship with Polycom, this agreement to include Southern Africa is a big win for resellers in this region," notes Lange. "Our solution partners will now be able to benefit from immediate access to the company's full portfolio of voice, video and content technologies, as well as a host of value-added services through the Westcon-Comstor professional services offerings." "Westcon-Comstor's global reach and long-standing relationship with Polycom provide a growing and proven approach to unified communications," says Daniel Schmierer, area vice-president of Middle East and Africa for Polycom. "As a revolutionary in this space, we are ideally positioned to enable customers to take a forward-looking leadership approach to enterprise collaboration."